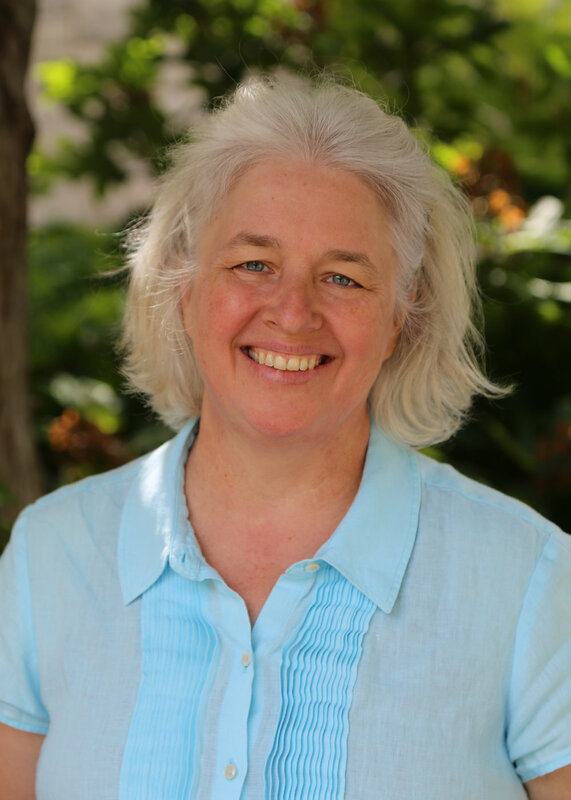 Michele Townsend Grove is an interim religious education director who is honored to be working with UUCUC until July 2020. During the interim period, Michele will work in relationship with all members and friends in the congregation as the congregations discerns its core values and vision for lifespan religious education. It is an exciting time and she hopes that everyone will join in the many opportunities to share their experience, stories and future religious education ideas! Michele is a religious educator who brings almost 30 years of experience to her work with UUCUC. She began her career as a Christian Educator in the United Methodist tradition and then joined the Unitarian Universalists in 2003. She developed a passion for interim religious education 2006 and has served this specialized vocation ever since. Michele has served as an interim religious educator with congregations in Manassas, Virginia; Bethesda, Maryland, Stephens City, Virginia; and Cherry Hill, New Jersey. Michele served as one of the interim religious education trainers for the UUA from 2008-2016. As a lifelong learner, she is currently working on her Doctor of Ministry thesis with the hopes of graduating in 2019. We celebrate that our children, youth, parents, and adults of all ages are all integral and valued members of our congregation. For children and youth we have a Religious Education program that meets on Sunday mornings during worship (one to two times each month children and youth join the beginning of the service). Our RE program consists of seven classes, from preschool children to YRUU - Young Religious Unitarian Universalists - for the high school youth. The RE program is led by the Director of Religious Education and supported by a strong team of volunteer teachers. Parents and adult members of the congregation are involved as teachers or as mentors in the Coming of Age class. We strive to have several multi-generational events each year, and have had a successful week-long summer day camp for the last three years. The RE program encourages our children and youth to grow morally and spiritually. Volunteer teachers often find their experiences in RE to be a profoundly rewarding life experience. Teaching teams are intentionally staffed with enough people to allow teachers o have an opportunity to attend some Sunday services. All teachers receive full background checks before working directly with our children, and we have a Safe Congregation policy. We use curricula developed specifically for Unitarian Universalist congregations, including the Tapestry of Faith curricula. Currently, the RE program involves 24 teachers leading seven classes with over 100 children and youth in the following classes: preschool, kindergarten and 1st grade, 2nd and 3rd grade, 4th and 5th grade, 6th grade, 7th and 8th grade, and YRUU (high school). Visiting children and youth are always welcome, except in the programs below for junior high students. We are proud to offer the year-long nationally respected OWL (Our Whole Lives Lifespan Sexuality Education) for 7th and 8th graders, generally every 2-3 years, and the year-long UU Coming of Age for the same age group every 2-3 years. In 2018-19 we will be offering the Coming of Age program. We also have a Children's Choir, which is volunteer-led and sings twice a month in our Sunday services. Adult RE offerings include a number of lay-led discussion and book groups, as well as a lay-led meditation group which meets at 9 am before the Sunday service. For more information, visit our Groups page. Our minister, Rev. Florence Caplow, also offers adult religious education opportunities. To find out more on upcoming casses offered by our minister, visit Upcoming Events.